Shakuhachi FAQ | Mejiro Co.
A vertical flute made with natural bamboo that plays beautiful, mystical sounds. The shakuhachi is said to have originated several thousand years ago in Central Asia It arrived Japan during the Nara Period after crossing over into China from India, together with Buddhism. Initially it was used as an instrument for playing traditional Japanese court music and ancient shakuhachis are kept at shrines and temples such as the Shosouin and Horyuji. These ancient shakuhachis are, however, different in length and shape compared to recent instruments. Eventually this flute became an instrument for those referred to as Zen and Fuke sect. These Buddhists roamed the country wearing a "amigasa" (braided hat) and playing their shakuhachi flute. Some were said to have put their privilege to use and performed spy activities during the Edo Period. When the Fuke sect was obliterated in the Meiji Period, music notes were completed and the shakuhachi was remodeled as an instrument that could be enjoyed by all people. The world has come to love the mystical and dynamic sound that comes from this instrument made out of one bamboo. It is possible to reach a range of between two to three octaves. The average shakuhachi has five tuning holes; four tuning holes in the front and one in the back. There is a shakuhachi that has seven tuning holes for playing folk songs as well. The name "Shakuhachi" originates from its length which is expressed as being "isshaku hachi-sun" (one "shaku" and eight "hachi"sun) long, and based on this length, the D note will be played when all the tuning holes are covered. When the length increases by one "sun" (3.03 cm), the pitch will decrease by a half tone, and when the length decreases by one "sun", the pitch will increase by a half tone. These are the two practiced schools. The Kinko-ryu goes back approximately 200 years to the middle of the Edo Period and carries on the shakuhachi music that is unique to its respective regions. The Tozan-ryu was founded in Osaka during the Meiji Period and developed notes and modern exam systems that are unique all to its own. The major difference between the two styles can be seen in these shakuhachis' mouthpieces. Is it hard to get a sound? What kind of instrument do I need to start with? What do I need besides the flute itself? What about the different sizes? How should I store my shakuhachi? Do I really need a teacher? Are there only old songs? How is the repertoire divided? What are the different schools? What is a jinashi ahakuhachi? What do seiritsukan and seisunkan mean? What are Living Human Treasures? 1.Is it hard to get a sound? Even the masters say they are always working to improve their sound, but it is not in fact difficult to make an elementary sound the first time you try. It does help, though, to have a teacher show you how to hold the shakuhachi to your chin. 2.What kind of instrument do I need to start with? Beginners often start out with a wooden flute. They are inexpensive (Mejiro's are 18,000 yen), they don't crack, and they are professionally balanced to insure that all the notes are in tune. However, if you are serious, you will eventually want to get a bamboo flute. Mejiro's begin at 140,000 yen. If you buy a used one, or get one from someone else, it's usually a good idea to test it with a tuner or have it checked by a qualified player to make sure it's in tune and balanced. This is because many (especially older) flutes are poorly balanced, and this can pose problems for a beginning player. 3.What do I need besides the flute itself? At the very least, you need a leather cap to protect the mouthpiece (1,000 yen at Mejiro). These come in different sizes. You also need a cloth with a weighted string to wipe the condensation from the inside after you play (also 1,000 yen at Mejiro). You also need a plastic bag to keep your flute in to maintain moisture when you aren't playing (see below). Finally, you need something to carry your flute in. There are everything from special flute bags (from 1,400 yen at Mejiro) to hardened aluminum cases that can fit 10 flutes at once. 4.What about the different sizes? Shakuhachi are measured according to Japan's archaic measurement system. 1 "shaku" is about 30 cm, and there are 10 "sun" in every shaku. The standard size is 1.8 shaku (54 centimeters), and indeed the very word "shakuhachi" is short for "1.8 shaku". However, there are flutes all the way from 1.1 shaku to 3.0 shaku and above. The longer the flute, the deeper the tone. The standard 1.8 shakuhachi is tuned to a "D" pitch on the western scale. Since this is the standard length, it is what almost everyone begins to learn on, and is what we recommend strongly as a first-time flute. 5.How should I store my shakuhachi?.. Bamboo can crack when it dries out too much. It can also crack from sudden changes in temperature and humidity. A humidity of at least 60% should be maintained. Most people use long, thin plastic bags especially made for shakuhachi to store them in. When you store your flute in these bags, we recommend to blow air in the bag before you close it up. Many people also use a little bit of olive oil (walnut oil used to be common, but it now became discontinued) on the outside of their flutes from time to time to help them maintain moisture. Almost any vegetable oil can be used, as long as it's a light, 100% pure vegetable oil. DO NOT use cooking oils. If your flute does crack, don't panic. Cracked flutes can usually be repaired, but only by a professional. Wrap a cracked flute in a very slightly dampened towel and call a flute maker. At Mejiro we offer professional repair service as well. 6.Do I really need a teacher? There are instructional books and videos, so learning on your own is possible. However, seeing a teacher will dramatically increase the speed at which you improve, and will help prevent you from developing bad habits that may be very hard to correct later on. Further, especially with honkyoku (see below), only a small part of the notes and techniques necessary to play the song are actually written in the notation. There are many things that can only be learned from a qualified teacher. At Mejiro, we offer lessons by a very well respected professional, Mr. Keisuke Zenyoji and Mr. Shozan Tanabe. 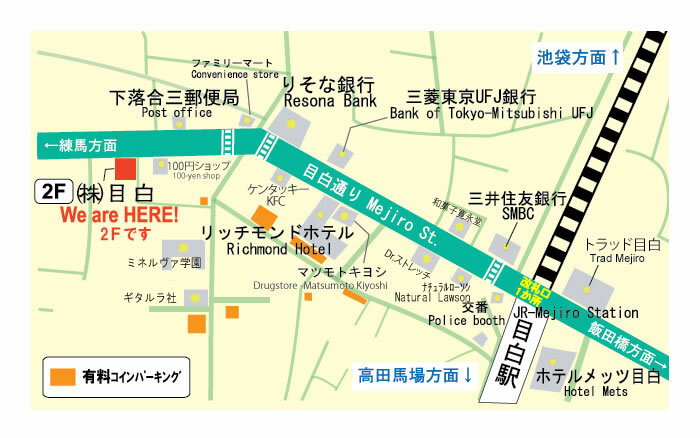 If you are in Tokyo, stopping by for even one lesson can be very beneficial. 7.Are there only old songs? Since the shakuhachi is such an ancient instrument, there are many people who believe there are only old songs. Nothing could be further from the truth. Once you learn the basics, virtually anything can be played on a shakuhachi, from modern and avant garde to jazz, pop, and other contemporary music. Professionally tuned shakuhachi can be performed along with any other western instrument. Many such recordings are available. 8.How is the repertoire divided? Sankyoku (Gaikyoku): A genre of music originally written for koto, shamisen, and sometimes voice, with shakuhachi accompaniment. Folk Songs (Minyo): There is a rich tradition of folk music in Japan, with many local regions having their own traditional folk songs. These were sung during working, at weddings, and at festivals. Junreika/Goeika: These were songs that were originally sung as people made pilgrimages to temples far away. They were later adapted to shakuhachi. Shigin: A special genre of sung poetry, often with shakuhachi accompaniment. Western/Modern Music: This can include everything from lullabies to popular songs, classical music, jazz, etc. 9.What are the different schools? The two largest schools of shakuhachi playing are Kinko-ryu and Tozan-ryu ("ryu" means style or school). The most noticeable difference is the shape of mouthpiece. Each has its own history and style, and it is a matter of personal taste which one to study. Kinko-ryu was begun in the late 18th century by Kurosawa Kinko, while Tozan-ryu was begun in the early 20th century by Nakao Tozan. Kinko-ryu honkyoku were developed by Kurosawa Kinko, who collected individual honkyoku from many parts of Japan and then adapted them to his own style of playing. These were later changed and codified by his students to become the 36 official "Kinko honkyoku." Tozan-ryu incorporates many aspects of Western music training. Tozan-ryu honkyoku were written by Nakao Tozan himself. There is also the Watazumi school (also called Dokyoku), as well as Meian-ryu and Chikuho-ryu, as well as various folk schools. Of all these schools, Kinko notation is used by Kinko, Watazumi, and Meian schools, whereas the notation used by Tozan and Chikuho schools are unique to their own school. For the beginner, it usually is not necessary to identify a school to concentrate on from the very beginning. Indeed, one should experiment and expose oneself to as wide a range as possible before deciding what direction to pursue one's own studies in. 10.What is a jinashi shakuhachi? Most modern shakuhachi contain what is called "ji" in the bore. This is a layer of a plaster-like substance that is fixed on the inside of the shakuhachi to shape the bore so that every note will be in tune. This allows shakuhachi to be in pitch and balanced, and opens the doorway to playing more types of songs and with other instruments. However, some think that shakuhachi without this "ji", or "jinashi", have a sound that is closer to that of the original, natural bamboo. These "jinashi shakuhachi" are tuned only to themselves rather than an absolute pitch, and are harder to play. However, they have a lovely soft, mellow sound. 11.What do seiritsukan and seisunkan mean? These are two different ways of classifying shakuhachi lengths. Around the 1.8 length, the pitch of the shakuhachi (the pitch played with all holes covered) drops one-half pitch for every additional "sun" in length. However, this relationship breaks down the further you get from the 1.8 length, and you need a little bit more additional length to achieve a drop of one-half pitch. Seiritsukan are measured according to the "one-half-pitch-for-every-sun" convention, even though this doesn't hold the farther the flute gets from1.8. Thus, seiritsukan ignore the fact that the actual size of the flute maybe longer, and are named according to their pitch. In contrast, seisunkan are named according to actual length as opposed to their pitch. Most shakuhachi are "seiritsukan", although some "seisunkan" are sometimes used in folk music (minyo). "Komuso" monks (written "monks of nothingness") were mendicant monks in ancient Japan who used the shakuhachi as a religious tool. Specifically, they belonged to the Fuke sect of Zen Buddhism. Komuso monks were itinerant, wandering the country and begging for alms as they played shakuhachi honkyoku. They wore a straw basket (called a "tengai") that covered their head as they played. Because some of these komuso were in fact spies for the government, when there was a revolution in 1868, the entire Fuke sect was dismantled and the playing of shakuhachi temporarily banned, leading to a great loss of shakuhachi information and lore. 'The precursors to komuso were the "komoso", which is written "straw mat monks", who emerged in the late 15th century. These monks played shakuhachi as they traveled throughout various lands, and they used straw mats which they carried about their waists to sleep outdoors. This is how they got their name. In the beginning of the Edo period they started the tradition of wearing the "tengai", or straw baskets on their heads and became "komuso", or "monks of nothingness". Instead of the traditional spiritual practice of chanting sutras, the komuso used their shakuhachi to play honkyoku as a spiritual practice. 'There are many legends surrounding the origin of the shakuhachi and the komuso. One legend gives credit to a monk named Hotto-Kokushi (also called Kakushin) (1207-1298), who studied at the Sung court in China for 6 years and then returned to Japan with 4 practitioners, while another legend gives credit to a monk named Roan who lived in Uji in Japan. 13.What are Living Human Treasures? Living Human Treasures are people designated by the government who have attained the highest achievements in traditional arts. Currently, the Living Human Treasures for shakuhachi are Aoki Reibo (Kinko-ryu) and Yamamoto Hozan (Tozan-ryu).